68% of Seattle supports $15/hour minimum wage. Our movement is growing, but we have work to do. 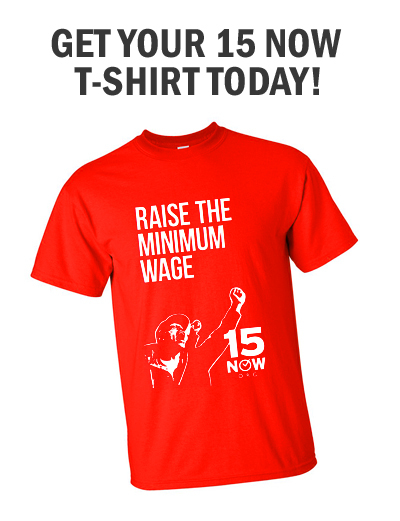 Big business does not support $15 an hour minimum wage. And they are prepared to pour millions into defeating our movement. Monsanto and Co. spent $22 million to beat back GMO labeling – how much do you think Walmart will spend? Or McDonalds? Or Starbucks? In 2013 Starbucks made $1.7 billion in profits – it’s most profitable year in its 42 year history! CEO Howard Schultz has been handsomely rewarded with $28 million a year compensation while the average Seattle Starbucks barista makes $9.57 an hour. It’s clear big buisness can afford $15/hour but they will only pay if our movement is strong enough. We can win but we need your help. Donate $5 today to end poverty wages at Starbucks. Donate to win $15/hour.